I love using things for what they were not intended for. Often it doesn’t quite work out, but I had a good feeling about this next one. I woke up on the wrong side of the bed one morning and saw my girlfriend's hair straightener staring at me. My one track mind -- circuits! -- immediately realised the potential in this commoditised el-cheapo piece of kit, even for someone, like myself, without much hair to burn! * Floating plates are springy in order to have even pressure on the hair. Since for my use I wouldn't press the plates together, I was concerned that they wouldn't be quite parallel so would heat the board unevenly. Being able to press one end on each plate would give me more flexibility. 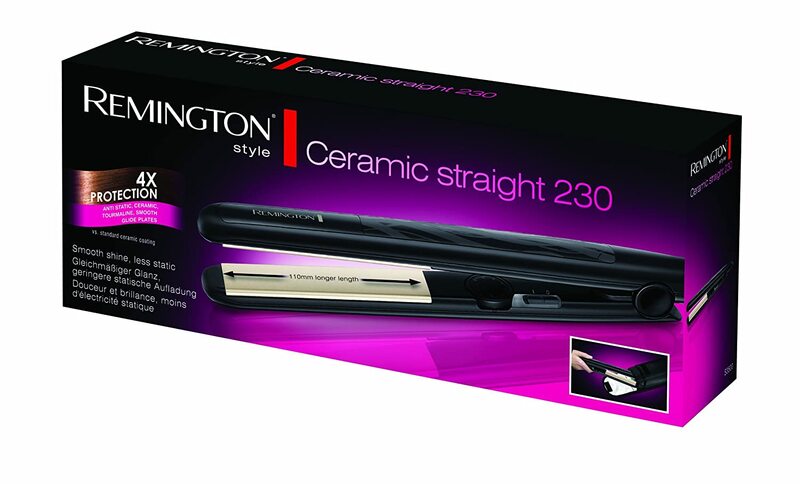 * Temperature control is essential with some of the cheaper hair straighteners having a fixed temperature setting (not good!). The best range I could find is 150°C -- 230°C which is within the reflow of low temperature solder paste. All good. * A locking mechanism is useful for fixing the plates into place. Some allow locking at various positions. The one I got locks "closed", but still has a wide enough of a gap. * A long swivelling power cord seemed like a good idea. * A stylish carrying case. It's certainly not a replacement for a reflow/toaster oven, but could find its use in some cases such as a localised soldering job to avoid melting other bits, etc. Also, it's mobile. Three awesome colours to say that you're damn good at what you do!